In recent years the body has become one of the most popular areas of study in the arts, social sciences and humanities. 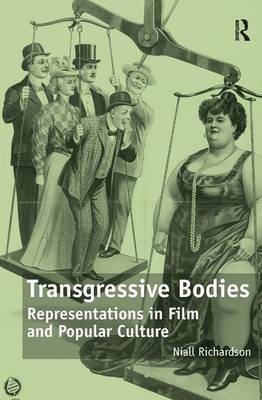 Transgressive Bodies offers an examination of a variety of non-normative bodies and how they are represented in film, media and popular culture. Examining the non-normative body in a cultural studies context, this book reconsiders the concept of the transgressive body , establishing its status as a culturally mutable term, arguing that popular cultural representations create the transgressive or freak body and then proceed to either contain its threat or (s)exploit it. Through studies of extreme bodybuilding, obesity, disability and transsexed bodies, it examines the implications of such transgressive bodies for gender politics and sexuality. Transgressive Bodies engages with contemporary cultural debates, always relating these to concrete studies of media and cultural representations. This book will therefore appeal to scholars across a range of disciplines, including media and film studies, cultural studies, gender studies, sociology, sports studies and cultural theory.